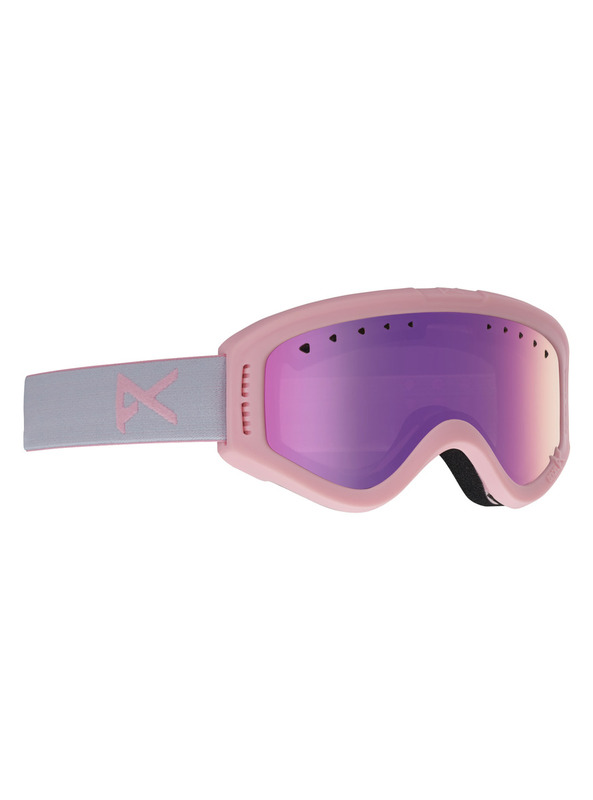 The kids' Anon Tracker goggle is built tough to withstand all that kids dish out. The cylindrical lens offers maximum field of vision and is recessed into the frame to reduce the chance of scratches when the goggles are dropped or dragged. The fit integrates perfectly with a helmet and the grippy strap keeps the goggle locked in place on the helmet. Full perimeter channel venting ensures maximum airflow for clear, fog-free vision in all conditions, while dual layer face foam creates a comfortable fit against any face. Includes microfiber goggle bag for storage and wiping the lens clean.